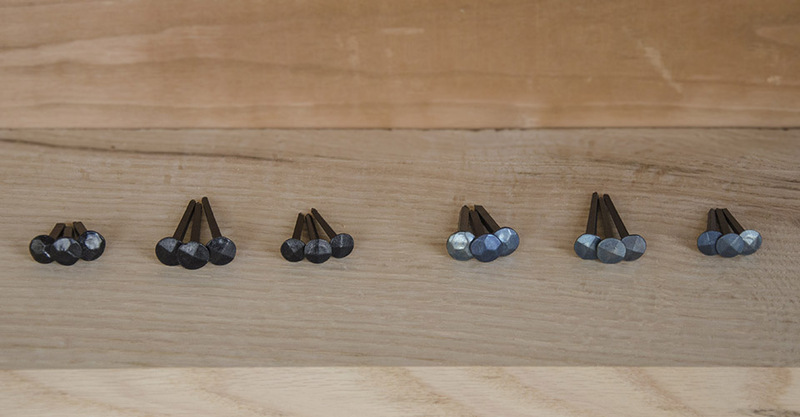 Rivierre's die-forged nails have a square shank for superior holding power, and come with either a four-faceted Diamond head or a multi-faceted Hammered head. 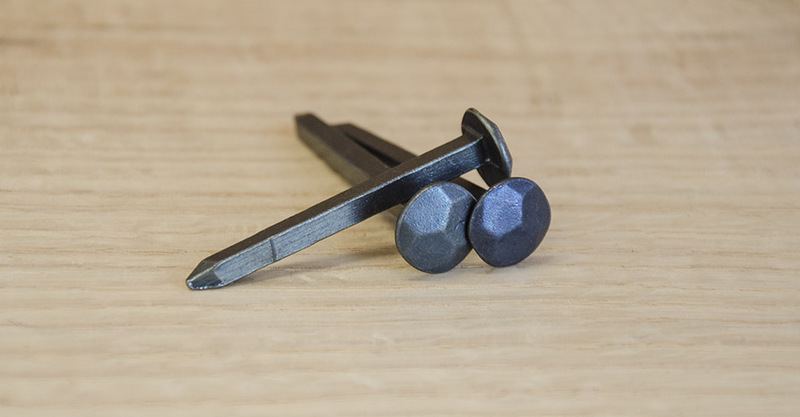 The Hammer head nails have a slightly thicker shank than the Diamond head nails and work well for decorative purposes. The Diamond head nails work remarkably well for attaching back boards and assembling case work. 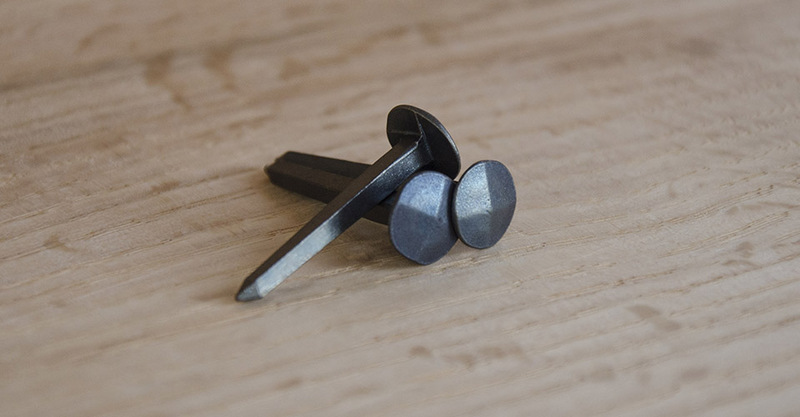 Once driven into a pilot hole, these tapered nails wedge into the wood fibers and do not let go. Their oversized heads provide additional clamping power to pull the nailed joint together, while ensuring they sit flush to the surface. 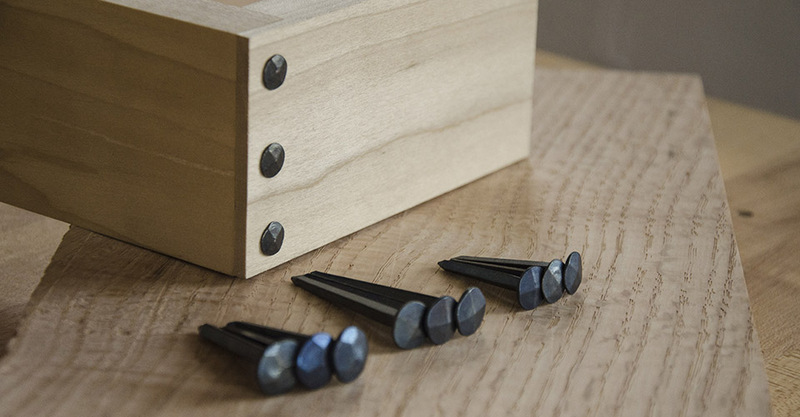 Rivierre offers their nails in two steel finishes; Blue and Black. These options are purely aesthetic, otherwise the nails are identical. 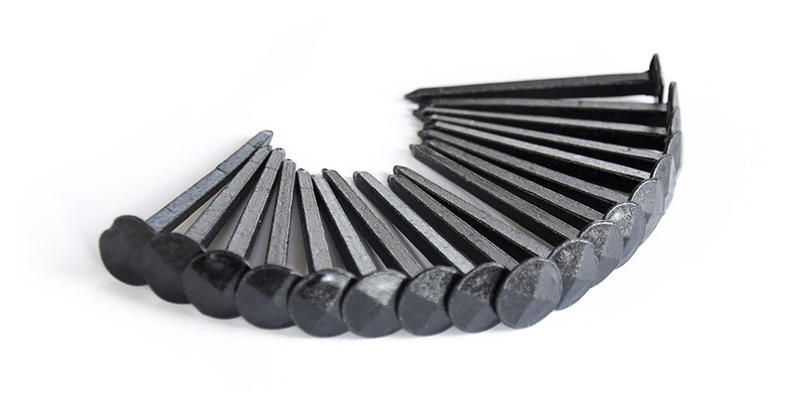 The nails are available in a variety of lengths to suit the needs of a various projects and materials. 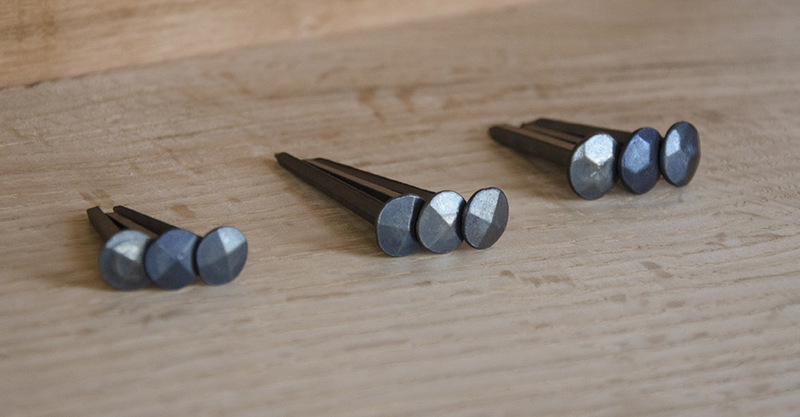 30mm nails are recommended for nailing through 3/8" stock. 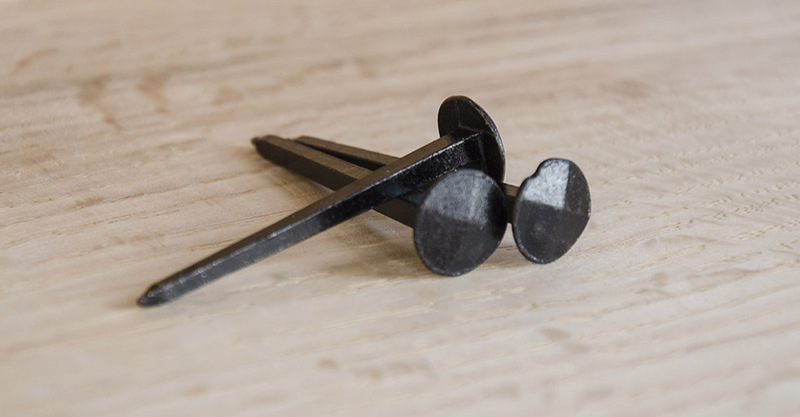 35mm-40mm nails are recommended for nailing through 1/2" stock. 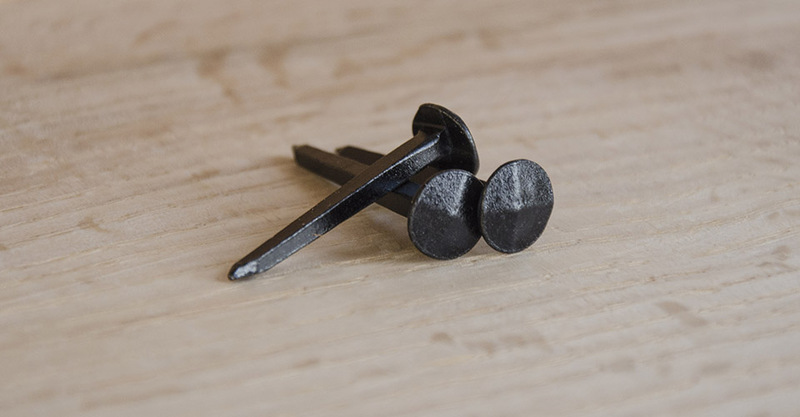 50mm-55mm nails are recommended for nailing through 3/4" stock. 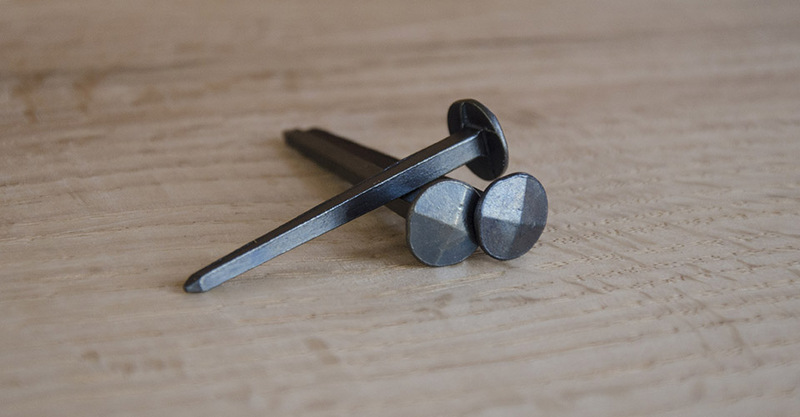 Due to the thickness of the shank, it is best to drill a pilot hole before driving the nails in. 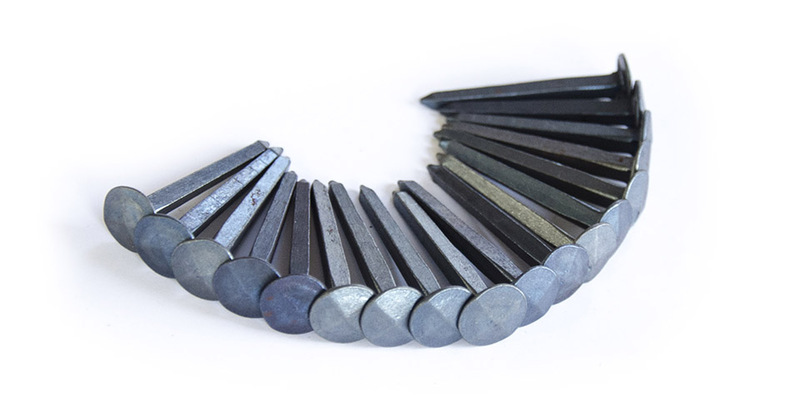 Experiment with a scrap of the same material first to avoid splitting your work piece. 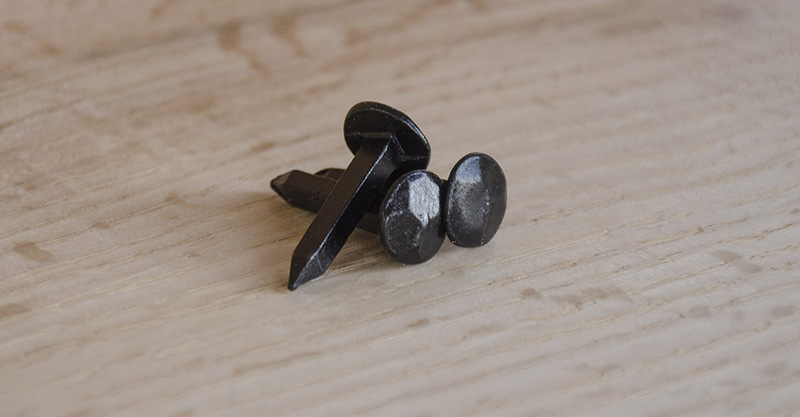 Read a post by Lost Art Press about working with Rivierre Nails. Rivierre Nails was founded in Creil, France in 1888. 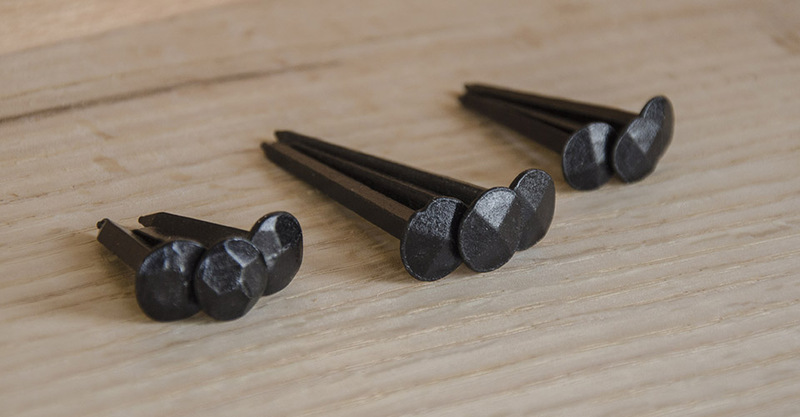 The company began producing produce a wide range of triangular upholstery and shoe tacks, but has since expanded to offer over 2,800 different models of nails.